I work in a variety of media and focus upon research into ancient belief systems whose resonance is found in contemporary cultures to inform my work. The starting point for my recent paintings are a series of textile sculptures I have been developing as fetish objects; part of my investigation into the traditional belief in the protective qualities of cloth and the use of charms and amulet devices as protection against the unknown and the acknowledgement of the enduring association of the female in the production of cloth. 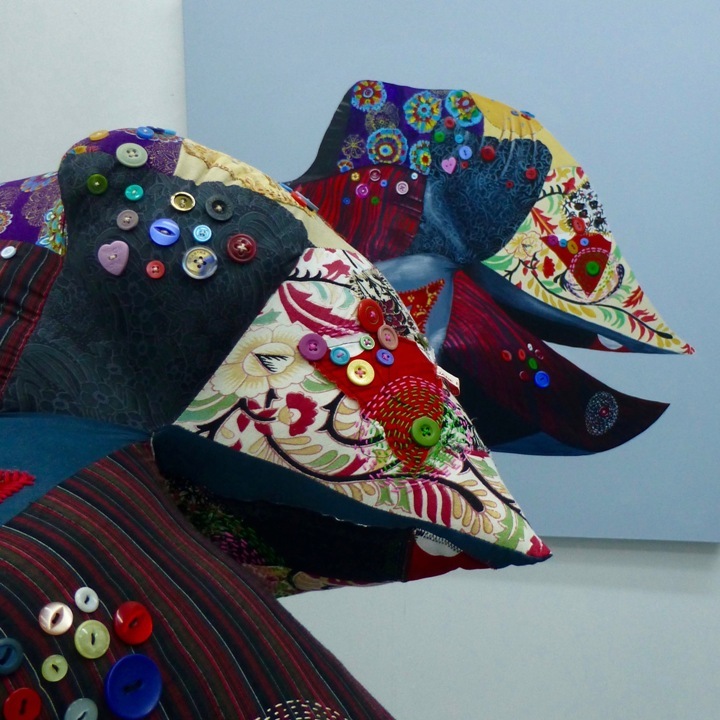 I have chosen to use my own textile sculptures as still life subject matter in order to create intriguing images that are richly decorated with pattern and embroidery and amulet devices and using chiaroscuro effects to create depth and emphasise modelling. I’ve been a practicing professional artist for over 30 years and gained my MFA with distinction from Liverpool John Moores University in 2010. I was selected for Beep International Painting Prize in 2018, shortlisted for the NOA Prize in 2017 and a selected artist for the Greater Manchester Art Prize in 2016. I am the founder member (1999) and a trustee of Cross Street Arts studio group based in Wigan, Greater Manchester and have worked collaboratively with artists, curators, museums and galleries to bring together diverse and vibrant exhibitions during three decades.